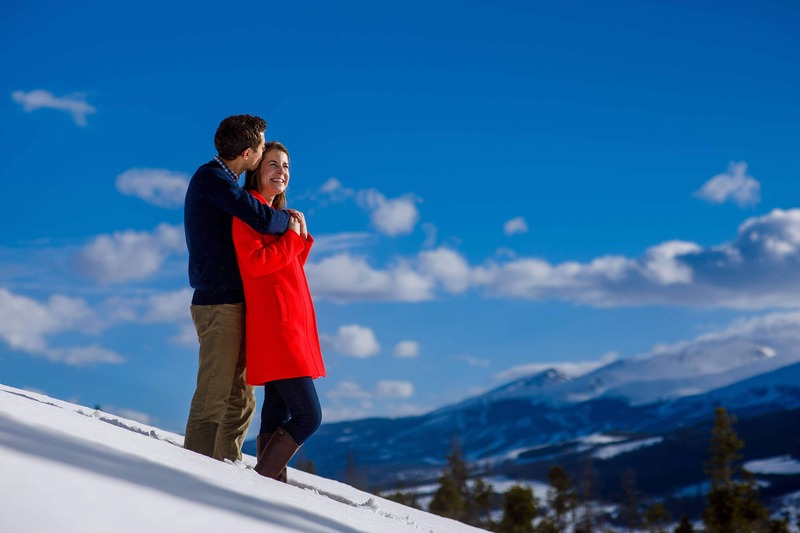 Last weekend I met Jessica and Mike up in a snow covered Summit County for their winter Keystone engagement. 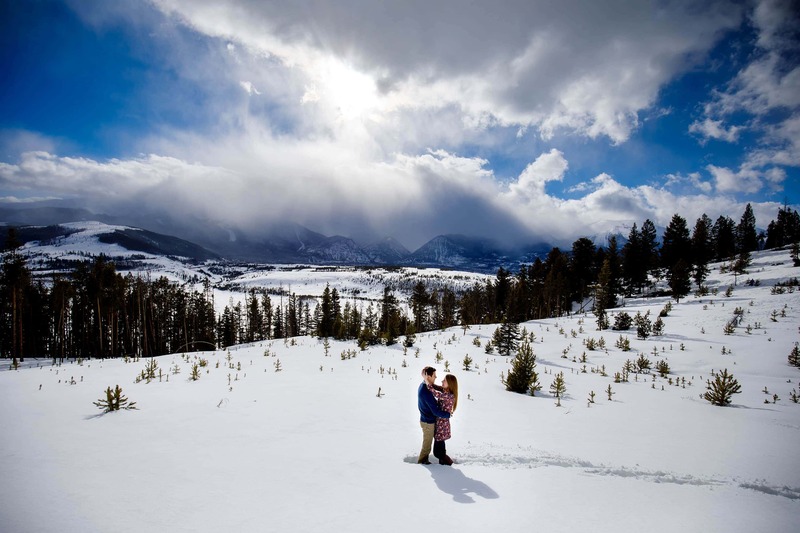 The area has been receiving epic amounts of snow all March long so we hoped that it would look like a winter wonderland and it absolutely did. 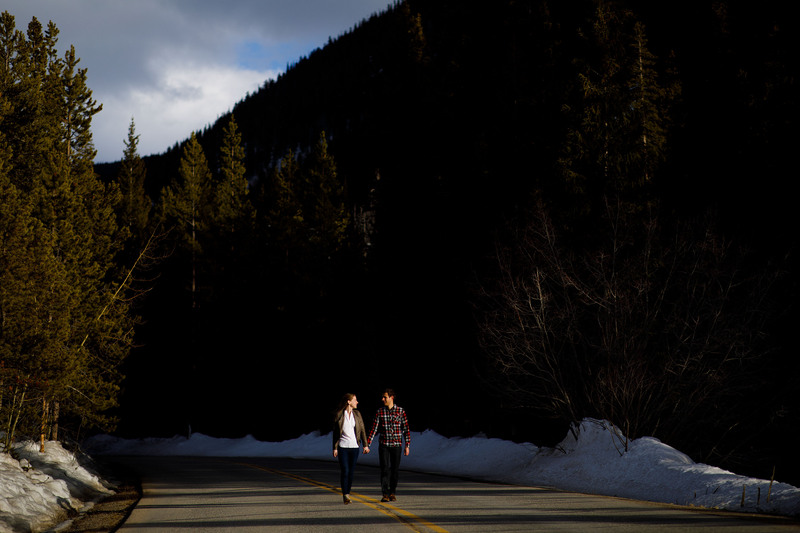 We shared a beer at The Baker’s Brewery in Silverthorne before driving east in search of spectacular views. We arrived to find several feet of snow blanketing the area which made for a challenging adventure but some great moments along the way. 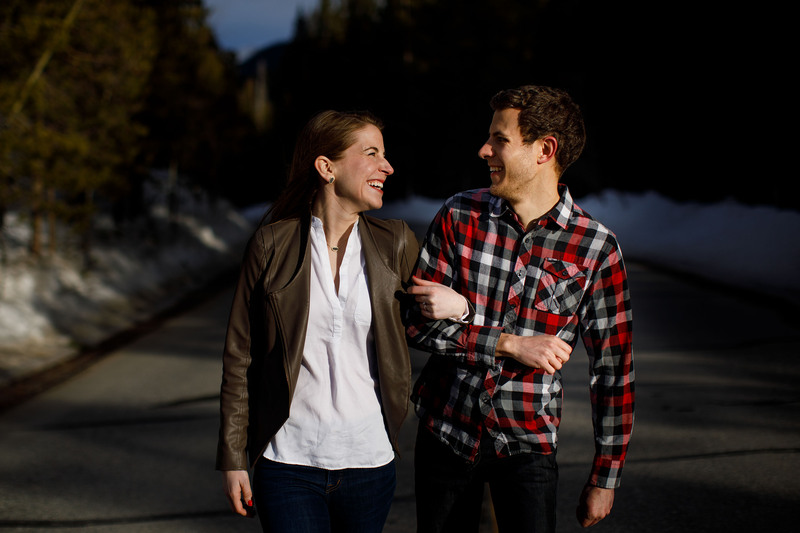 Jessica and Mike were so much fun to photograph because they embraced everything about the experience. They laughed throughout the day, often as I sank thigh deep in the snow. I especially loved her red wool coat that she picked up for the session. 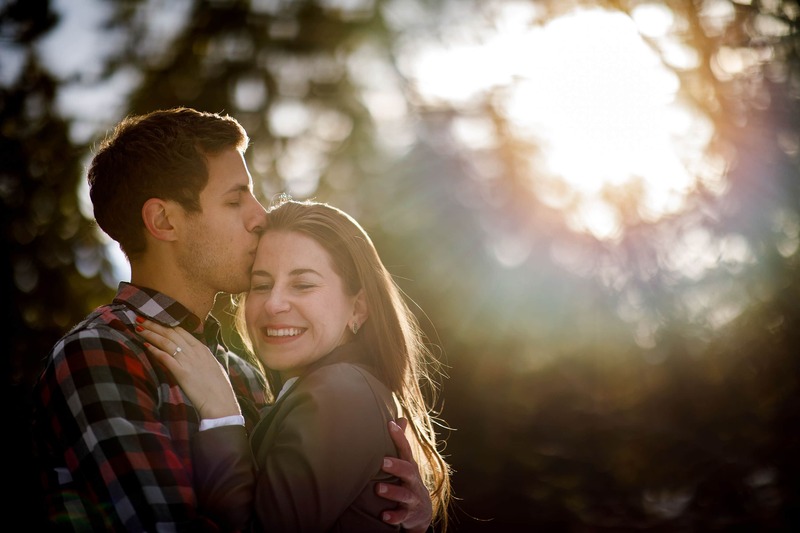 The sun poked through the clouds and we were treated to a great environment for the start of their engagement photos at Sapphire Point Overlook. Before the sun completely set we hopped in the car and drove past Keystone Resort towards Montezuma along the Snake River. It was completely quiet back behind the resort and provided a different look from the rest of the day. We finished in below freezing conditions atop Loveland Pass just as the sun disappeared which was the perfect ending to the day. 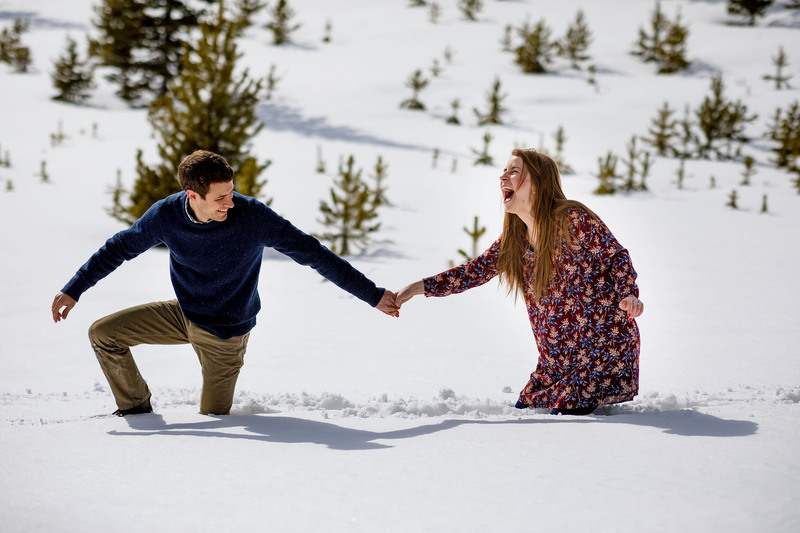 It was a pleasure photographing their winter keystone engagement session and I can only hope for just as many laughs at their wedding later this fall.